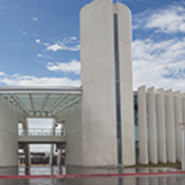 The Education Department within the Emma S. Barrientos - Mexican American Cultural Center seeks to provide dynamic, innovative, and socially relevant programming that preserves, creates, and promotes Mexican American and Latinx cultural arts and heritage. The ESB-MACC Education Department offers Saturday workshops, studio classes, seminars, and camps for all ages, providing opportunities for participants to enhance their understanding and appreciation of Mexican American and other Latino cultures. 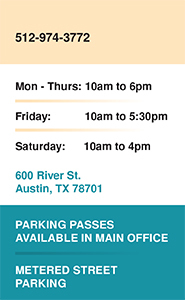 For more information, call 512-974-3785 or macceducation@austintexas.gov. For educators and students, we offer tours by appointment Monday-Friday 10am-2pm. Please book in advance to assure your spot (4 weeks before tour date). Tier 1 Group Tours include a FREE tour with one of our trained docents to explore the cultural history of the ESB-MACC facility and our galleries. Tier 2 Experience & Tour includes the tour above, in addition to a culture & arts activity designed to suit the curriculum needs of educators. * Please notes Tier 2 tours are not offered during Summer Camp, June-August 2019. Call (512) 974-3786 for pricing. Reserve your tour by completing our online Tour Request Form. Sábados en Familia provides free cultural art activities. In April, the activity will explore the theme of Lucha Libre (Mexican Wrestling!) Participants will engage in bilingual storytime and hands-on art projects. Costumes encouraged! Questions? Email macceducation@austintexas.gov. Join the Facebook Event! Students will learn Latin American folk songs and rhythms to enhance their multicultural experience, with courses taught at the ESB-MACC. If requested, instruction can be in Spanish exclusively or partially. Contact Javier Jara to register via email at javiertrovador2011@gmail.com, by phone at 512-470-8842, or facebook: Javier Jara Músico. Come groove with the sounds and dig deep into the roots of Chicanx music and culture and dust-off your instruments from the shelves and take part in building your community's Bronze Band! The Bronze Band is a group of local seasoned musicians that perform this hot toe-tapping dance music known as “Musica Chicana”, a blend of Tex-Mex, Chicanx rhythm and blues, country-western swing, cumbias, and oldies Led by seasoned musician and music activist Robert Ojeda, you are sure to find comunidad, latinx soul and rhythm! Don't miss out on this exciting opportunity. New participants are welcome to join from 2-3pm to learn the material. For more information, email Robert Ojeda at Rrojeda2002@yahoo.com. On the first Saturday of each month, TGSA hosts their monthly meet-up, featuring guest speakers.This is a great time to find out about TGSA, meet community members, learn about local history and ongoing projects related to genealogy, DNA testing, family heritage and history. 10am-12pm in the Black Box Theater, downstairs at the ESB-MACC. On the third Thursday of each month, TGSA hosts a workshop open to all where community members can research their family history to uncover the stories of your family’s past with the help of TGSA’s researchers. We provide access to research materials and software to help you stitch together the fabric of your family’s history to reveal how you came to be. Anyone who wants to participate can bring photos, letters, certificates, or other historial documents to research their family history. Members of TGSA will be on-site to assist. 10am-3pm in the Digital Media Lab, upstairs at the ESB-MACC. Enjoy a soft and revitalizing Yoga class FREE of charge! Strengthen your physical, mental and emotional bodies achieving great health. Sign up for our newsletter to receive updates about activities and events. ESB-MACC relies on volunteers for many important functions. To learn more about volunteering, click here. To view program and event photos, click here.